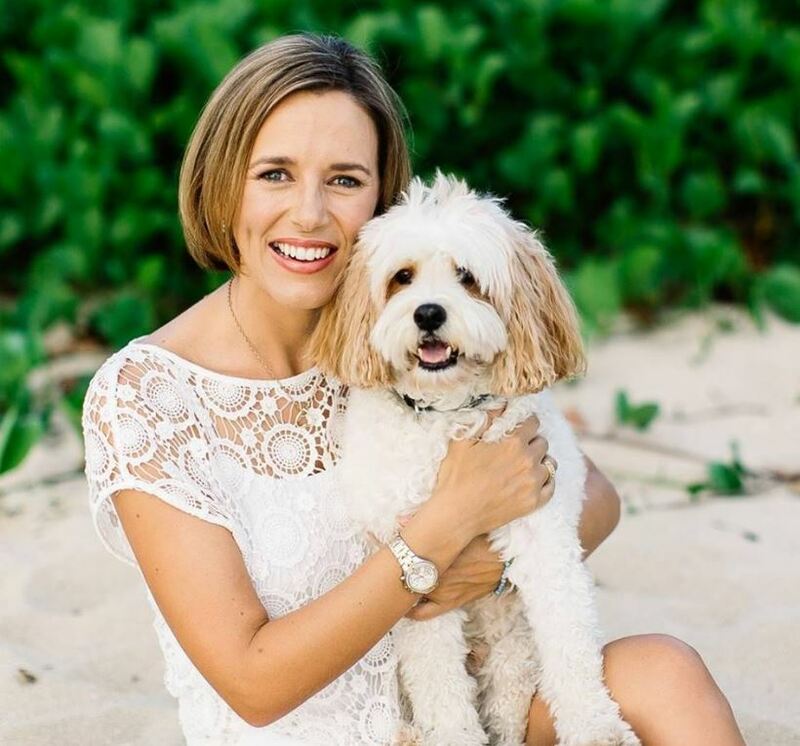 There are dog owners who are very committed to taking their dogs on walks, regularly. Sometimes this may pose a challenge though if their daily schedule is busier and doesn’t allow any time during the day to take them. Wouldn’t it be great to get a solid walk in at night once your busy day is done, and not have to worry about being invisible to the speeding cars? Luckily for you, there’s a solution! Light up LED collars for your dog are available in many different shapes and colors so you and your pooch can stay safe while you stroll the neighborhood after sunset. 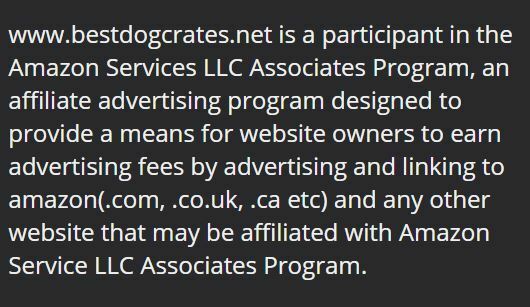 2 Why Buy an LED Light Up Dog Collar? We have created a list of the top brand and best-recommended light up collars for you to purchase for your canine friend. It’s important to note there are some different sizes for different girth and weight of your dog. Be sure to measure correctly so you find the perfect size for your pet. The best part about this LED collar is that it is SEMI-water proof; meaning your dog can’t go diving in the lake with it on, but it will withstand the occasional rainstorm or hose-down. This collar is also one that has a rechargeable battery pack in it so when you are not out walking, you can charge it up for your next adventure. This LED collar is unique because it doesn’t look like your standard dog collar. It is more of a dog necklace and is adjustable with scissors – it comes in one standard size but you can cut it down to fit your dog, perfectly. There are also 3 different light settings to choose from; slow flash, quick flash or a steady glow. The LED light inside the necklace can be seen up to 500 meters, away. This LED collar is the best and biggest in the LED dog collar industry – it has everything you can think of in a small collar-size package. It is not super expensive and it also comes with a lifetime guarantee which ensures a great investment for you and your canine friend. If it happens to break or fray, you will instantly get your money back! It has an adjustable strap that goes from 8 inches to 27 inches long – you can literally use it for any breed and size of dog. The rechargeable battery is charged through a small USB port that’s built into the collar. The charge can last for multiple walks so you won’t have to worry about charging it for every escapade. Charging it for 1 hour will give you 5 hours’ worth of light – that’s a lot of walks! There are 6 different colors to choose from: Ruby Red, Neon Blue, Neon Green, Bright Orange, Cotton Candy Pink, and Sunburst Yellow. Little Daisy will look beautiful in her pink LED collar and Spike will look manly in his blue or red one! This collar is on the lower end of the price scale but it has been proven to hold its own with the big boys and provide excellent durability and strength. The high-quality nylon material that it is made from will allow you to use it for many years to come if you take good care of it and don’t act carelessly with it. Unlike the other 2 recommended LED collars, this one does NOT have a rechargeable battery with it. It runs on a standard CR2032 battery that is known for lasting between 60 and 80 hours. It has an off switch as well so you don’t have to worry about the batteries constantly being on and working when you’re not even using it. Aside from the off feature, there are 3 other light choices to choose from: solid light, flashing blink and slow blink. Because there are actual batteries in this one, we wouldn’t recommend it for smaller breeds of dogs because it tends to be heavy around their necks. This is uncomfortable and could be painful in the wrong situations. It can be adjusted between 11 and 23 inches for the comfort of your medium to large size breed dog. Why Buy an LED Light Up Dog Collar? Not only do they look cool, there are a few different reasons why these collars are so great for you and your dog. 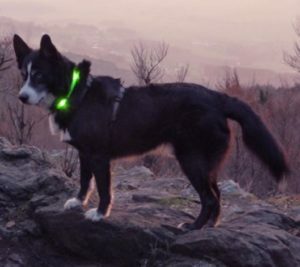 If you take your dog to a park that allows them to be off their leashes, these LED light up collars will be able to give you clear visibility of where your dog is at all times – especially if you go to one of these parks closer to dusk, or after sunset. If you are walking your dog at night, you may not be able to see what could be a dangerous situation, ahead. 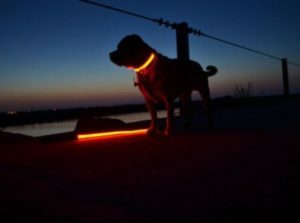 An LED light up collar is bright enough to illuminate the path in front of you and your dog, so you will be able to see potholes, sticks, or other animals that may cross your path. It is no surprise that walking your dog at night is more dangerous than in the daytime. At night, it is harder for cars to see you and your dog, and it also may be harder for you to see things if you are blinded by bright headlights. With these LED collars, oncoming traffic will definitely be able to see you and know where you are ahead of time. If you need to cross the street, cars will be grateful that you have given them a heads up that you are walking on the road. When your dog has on one of these LED light up collars, you are essentially letting others know you are there. 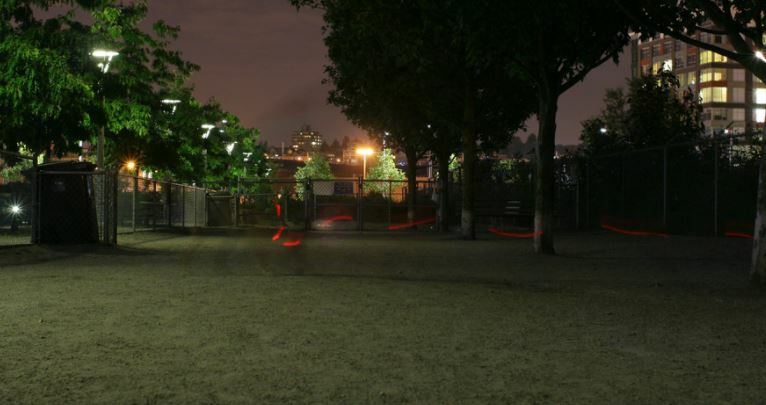 If you happen to encounter another person walking their dog at night, you may be a bit startled when they approach you, simply because you didn’t expect to see anyone else out at night with their dogs. However, with your LED dog collar, you will be able to alert oncoming walkers of your location so they can either stop and wait for you to pass by or give them a chance to alert you as well that they are there. There are many different factors that should go into your decision of which LED light up collar you should choose for you dog. depending on your budget, depends on what type you will be able to purchase. Keep in mind that the more expensive the collar, the more likely that it will last longer and be more durable than a lower cost one. These LED collars are more complicated than your typical chew proof harness (like these) given that they light up. You want to be sure that the one you purchase is strong enough and built well enough to hold in all of the parts that need to stay dry and untouched in order for the lights to work. The stronger the make, the more solid the collar will be in housing all of the components. Some of these LED collars may not be able to withstand complete water submergence. You have to make sure you keep an eye on your pooch and if he seems like he’s ready to jump in the pond at the park, get the collar off of him before he takes a dip. The whole point of having an LED light up collar is so your dog can be seen. In order for that to happen, you must make sure that the light bulbs are bright enough from a certain distance away. The safety of you and your dog, depend on it. Keep in mind that the collars that have the light bulbs on the inside of a casing, may be a bit dimmer than collars that have the bulbs on the outside of the collar, itself. Flashing is also another thing that you may want. These ones are pretty much impossible to not see at night. The LED light up collars that have a rechargeable battery in them can be more expensive for pet owners, however, they will last much longer because you will be able to plug the collar in from time to time to keep the lights shining brightly. Every dog owner wants their best friends to stay safe and happy while enjoying the outdoors. Any of these LED light up collars have the ability to provide just that. Walking outside at night or taking your dog out to do their business is much easier and less stressful now that you have these options to choose from. You don’t have to worry about losing your dog in the darkness or traffic and cars not being able to see them. Keep in mind that some of these collars are more suited for different sizes and breeds but if you do your research, measure correctly, and pick the best one for you and your dog, you are sure to love it and use it for many walks and adventures to come.